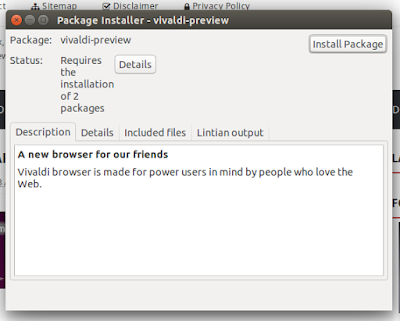 Download, and how to install Vivaldi browser in Ubuntu - Vivaldi is a freeware web browser developed by Vivaldi Technologies, a company founded by former Opera Software co-founder and CEO Jon Stephenson von Tetzchner. This browser is multi platform that can run in Linux, Windows, and also Mac OSX. The browser is aimed at staunch technologists, heavy Internet users, and previous Opera web browser users disgruntled by Opera's transition from the Presto layout engine to the Blink layout engine, which removed many popular features in the process. Vivaldi aims to revive the old, popular features of Opera 12 and introduce new, more innovative ones. If you looking for other browsers alternate besides Mozilla Firefox, Chromium, you might to try this one. Let's start from the features! Have multiple computers that you want to keep in sync? Vivaldi Sync enables just that. Your bookmarks, history, passwords and settings can all be synchronized across different instances of Vivaldi browser through our encrypted Sync infrastructure. Coming soon. Your E-mail client built right into your web browser! That’s right. E-mail is still pretty important to many of us. Looking for a robust, efficient, light-weight and good looking e-mail client? 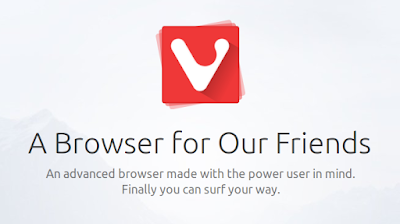 You’ll find one where it belongs in Vivaldi. We call it M3. Stay tuned for updates. 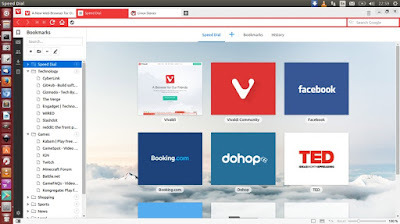 Connecting to vivaldi.com (vivaldi.com)|190.93.240.65|:443... connected. 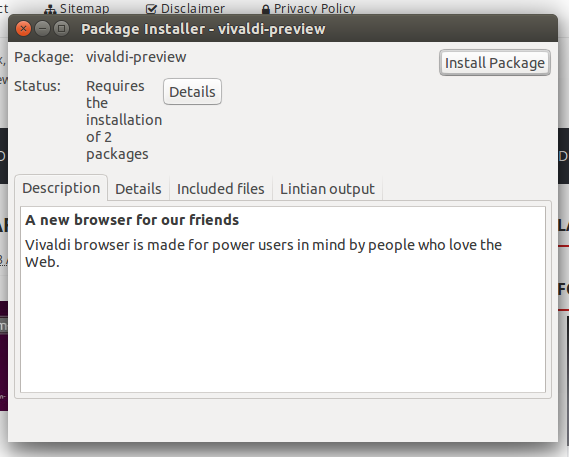 After downloaded, now you can install it via Gdebi or another methods to installing packages. Once installed, open via Ubuntu dash. 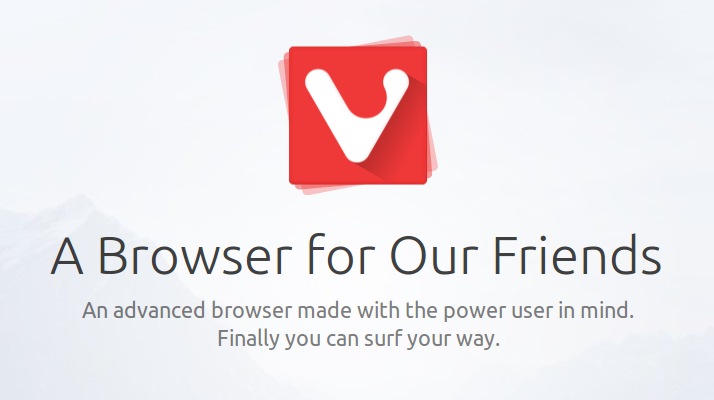 Finally see a Browser beautiful browser Vivaldi. 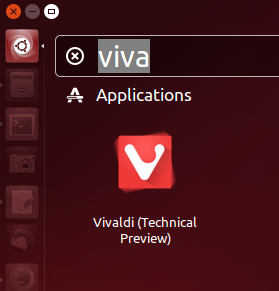 Vivaldi 1.5 stable was released. Head to whats new in Vivaldi 1.5 for more information.